Why would you want to have a podcast? Let me tell you why. Because content is king, and if you can be everywhere then people will be able to find you with no excuses. Some people read books, watch TV, and then some spend all day on the Internet. You have people who use Twitter, and then you have those who watch podcasts. They will look up all kinds of subjects because a podcast is easy to listen to. It doesn’t require any time commitment and you can listen to it on your Smartphone while you are out, or you can listen on your computer while you’re doing something else. You can listen to it in the car since vehicles are becoming more Internet savvy. Newer cars are being built with built in Internet access to Smartphones. What Would I Do On My Podcast? There are many things you can do. You can teach, interview experts, the possibilities are endless. We’ve discussed it before. But the reason you would want to have one is to build your expert status. You want people to look at you as an authority in your niche. It doesn’t matter whether you’re a dry cleaner or a baker or a mechanic. If you want customers to come to you pre-sold and wanting to buy your services or your goods, you will want them to have decided in their minds that you’re brilliant at what you do. Let’s say you’re a mechanic. You can give people tips on how to winterize their car in the winter, or how to get it ready for the summer. You can tell them how to protect the paint, or how to use certain polishes to clean and protect the paint from harsh elements. You could tell them how to change the oil or tips on getting better performance, tips for better light bulbs. I recently had to change my bulbs in my car. If there are ones that last longer than others, you can share that too. I know it might sound ridiculous but these things always sound ridiculous. But once you’ve got a few thousand people listening to you every week, you will become an expert to those listeners. Now, I wouldn’t advise that you do a daily podcast. It’s quite a commitment but you could do one every couple of weeks. Weekly would be best and of course, if you’re going to do them, please make it consistent. Make it on a particular day so people know when to expect it. Don’t make it random. That’s awful because people just don’t like waiting. They like a bit of consistency. Now — let’s think about if you are a baker. You could share secret baking tips that no one else would know. You don’t have to tell them how to bake the stuff that you sell. Simply share other recipes with them. Show them how to bake other stuff. People will try to make what you make to your recipe and then they’ll come into your store and try the real thing. You could do it as a video. You could do it as audio. It’s not very difficult. You won’t need a lot of fancy equipment. I’ve got an I-phone, a tripod, and I’ve got a microphone tucked on the front hip of my jeans. You really don’t need the microphone, but I like it. The microphone built-in to the I-phone is plenty good enough. Then beyond that, you can just upload it. There’s plenty of sites where it’s free to host that goes into I-tunes. It doesn’t cost you anything. Bingo. They get a link back to your website. People know where to find you. The basic thing you are trying to do is build your expert status. Consider having every single type of content that is possible to have. Books, courses, social media, podcasts, YouTube videos, and of course, a blog. If you have it all, it doesn’t have to take you long. I’ve explained before how to systemize and how to have these things takes about an hour every now and again. If you have it all, people will be able to find you and they will. Think about it. Not today maybe, but think about it. Add it to the mix. See if it can be done. 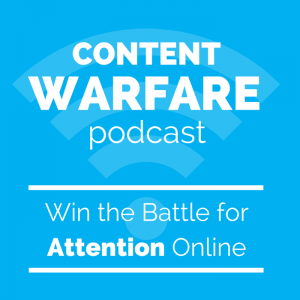 Speaking of podcasts, when you are driving home from work today, how about listening to Ryan Hanley and his content Warfare Podcast? 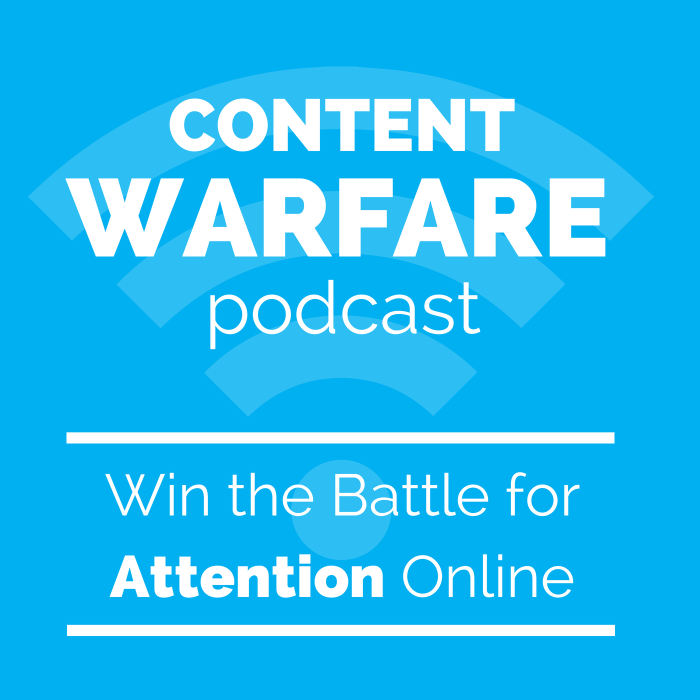 He does a lot of interviews with experts in the content marketing sphere. He interviews people with good books. In fact, I think he’s got one out at the moment called Content Warfare. He is a start man , he mentions about winning the fight for attention. That is clever. There is a lot of noise online, a lot of noise on social, how do you stand out? Ryan’s podcast will explain. He’s a very clever guy, knows his stuff and also has really good experts. So Ryan’s of a level where people want to get on his show. So — now that you have a great drive time podcast to listen to, what will you make your podcast about? 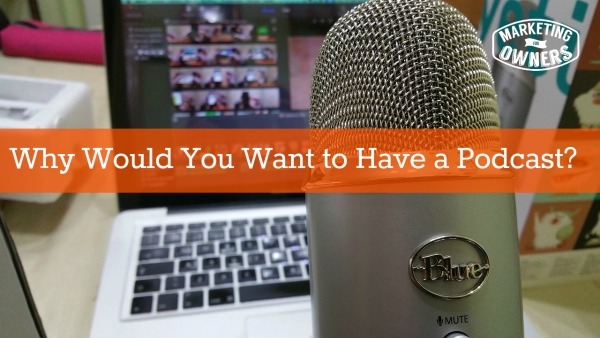 What will you make your podcast about?